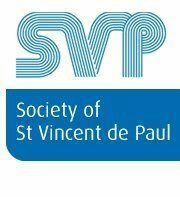 As thousands of young people prepare for this year’s Leaving Certificate examinations, which start in just over two weeks’ time on Wednesday 6 June, the Society of St Vincent de Paul (SVP) is looking for donors to help fund third-level education bursaries. There are many young people, our brightest and our best, who are studying hard to get the necessary points to get a place on the university or college course of their dreams. But they face an even bigger hurdle than the exams if they are to get into college: they have to find a way of paying for the costs. We know that the single biggest factor in ending inter-generational poverty is education. But tragically for many Irish students, further education is beyond their means. Research published this week by the Higher Education Authority (HEA) found that the dropout rate among poorer first year college students is double the dropout rate for first years from well-off backgrounds. Under the DEIS (Delivering Equality of Opportunity in Schools) scheme, extra supports are available to students at Irish primary and secondary schools where there is a high level of social disadvantage in the local community, and the scheme has helped reduced the number of early school leavers at these schools. However, the HEA study found that almost one in five college students who went to DEIS schools did not complete the first year of their third level education. The SVP is doing its best to help support hard-up students to go to college by providing them with bursaries – but they need donors to fund their support scheme. 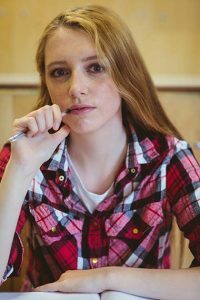 As part of their fundraising campaign, they are highlighting the case of ‘Áine’, a girl who dreams of studying to become an engineer. Áine’s dad works in a garage and her mother looks after her two young brothers. She will qualify for a grant, but it’s still not enough. There’s no college nearby, so she needs a place to stay and money will be needed to pay for that accommodation. Then added to the cost of rent, there’s the expense of travel, books and stationery – not to mention food. Low-income families like Áine’s are economically stretched and every expense must be budgeted for. Although Áine has a part-time job, which of course eats into her study time, things aren’t adding up financially. Áine worries that sending her to college will be more of a burden than her family can bear. “Right now, all around the country, young men and women like Áine are facing into one of the most stressful times of their lives,” says SVP president Kieran Stafford. “They’re bursting with potential and working so hard. But the tragedy is, even if they get the results they need, college may be out of the question. All their hard work might be for nothing.